Millions of tons of food waste are getting dumped on landfills all over the world. This is in many ways a terrible injustice. Apart from the sad fact that countless people in the 3rd world countries of our planet are starving and dying of hunger while others are feasting till they become fat it is as well a misuse of valuable resources and contributes to polluting and destroying the earth. 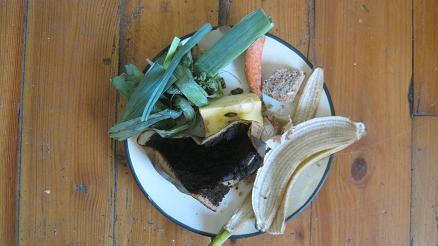 To call kitchen scraps as well as left overs waste is straight forward wrong. Organic waste is actually full of nutrients that can and should be recycled and returned to the earth to fertilize the soil.The ideal creatures to help with this task are worms. Compost worms recycle food waste and convert it into nutrient rich worm castings (worm poop) that can be used as a soil conditioner as well as a natural plant food. Worms love rich organic matter and feed on it day and night. This fact has led to the establishment of commercial worm farming businesses. This sustainable and low cost business sector although already a multi million dollar industry is continuously growing and should do so for a long time. This green business idea has many advantages for our society. Kitchen scraps and other organic matter that is dumped on landfill sites produces large amounts of Methane gas and CO2. Both are harmful to the environment and contribute to global warming and climate change. In addition anaerobically decomposing materials on landfills can pollute drinking water. To prevent this from happening more and more private households are recycling their kitchen- and garden scraps at home with the help of compost worms. These helpful little critters live in worm farms or worm bins and munch happily on the left overs that usually are thrown into the trash. friendly stores.Worm compost bins are basically odorless, require very little maintenance and can be placed indoors and outdoors. Compost worms are an important part of the recycling cycle and can help to improve our soils, the taste and nutrition of fruit and vegetables and to stabilize our planets climate. are getting on board and help to promote the recycling of food waste with the help of compost worms. Recycling with worms is fun and the fruit and vegetables grown in soil that has been enriched with worm castings are out of this world! Return from "Food waste" to the "Home page"
Return from "fruit flies" to the "Home page"
Find out more about other creatures that live inside a worm farm. 10 good reasons to start a worm farm.